Durable, low noise/microphonic double triode, close by characteristics to the 12AX7/ECC83. Made by VOSKHOD factory (ROCKET logo). 6N2P tubes are a replacement for 12AX7 in any typical amp application, but they have 6.3V heater voltage and would need a different wiring than stock 12AX7's. Q: How do I rewire the socket to use such tubes? A: 12AX7's filaments can be connected for either 12.6V (pins 4 and 5) or 6.3V (pin 9 and pins 4 and 5 connected together) operation. 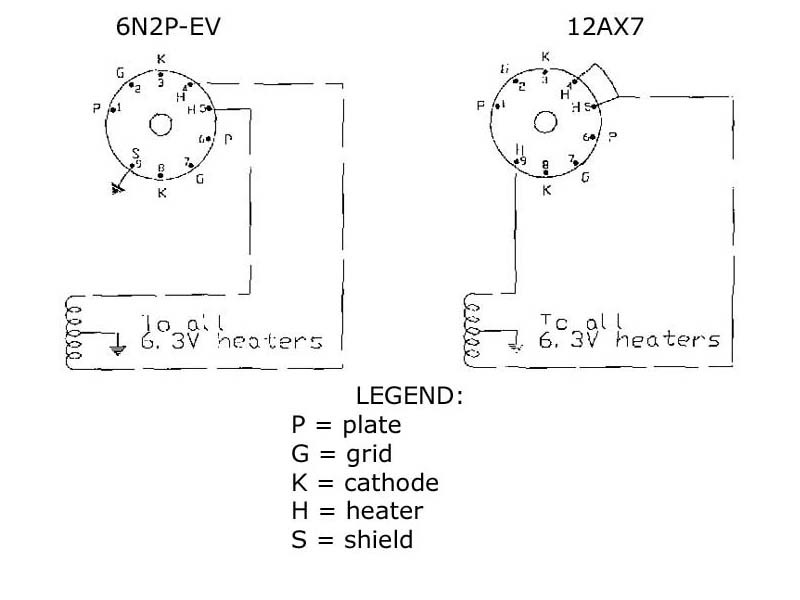 6N2P's filament will take only 6.3V (pins 4 and 5).